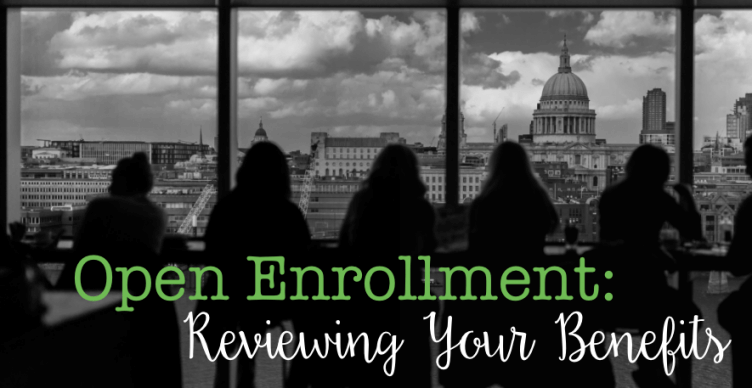 It may still be summer, but open enrollment is just around the corner! Chances are you haven’t read all the details of your employee benefits. It’s important to understand what benefits you might be able to take advantage of. This year, take the time to review your options and feel confident when open enrollment rolls around. This is especially critical if you’ve had major changes within your family or your employer. If you’re looking to increase your retirement savings, open enrollment is an ideal time to up your contributions. It’s also important to be aware of your employer’s role in this. Does it offer a match for retirement savings, and if so, are you taking advantage of that program? If you’re not, you could be missing out on a 50-100% return on your investment. Also be aware that you may have options through your employer, whether it’s a pre-tax contribution or Roth 401(k) or Roth 403(b) contributions. You can choose to put money in both pre-tax and Roth contributions as well. Long-term group disability insurance – If you rely on an income, then signing up for this insurance is a no-brainer (read more about that here.) But not all disability insurance policies are created equal, so make sure you understand your options. For example, sometimes the employer pays the premium. But if you pay it, you will receive the benefit tax-free. Also be aware of any waiting periods associated with your policy. Have money set aside to help you ride out that waiting time. Short-term disability insurance – A short-term disability insurance can be replaced with an adequate emergency fund. That could be for covering a long-term disability waiting period or just taking care of a minor injury. If you’re in the process of setting up a stable emergency fund, a short-term disability policy could be right for you. Life insurance – The average employer life insurance policy you will come across is going to cover 1-2 times your salary. However, this is probably not going to be enough money for your family. You can opt for your employer’s policy regardless, but it’s a good idea to purchase more life insurance in your policy or buy an additional policy outside of work. This is also a good idea if you plan to leave your job sometime soon, because a policy independent of your employer will travel with you. Health Savings Accounts (HSA) – An HSA is a savings account that lets you add pre-tax money and withdraw it tax-free for medical expenses. Any money leftover at the end of the year will roll over to the next one. Your insurance needs are ever-evolving, so it’s important that you keep up with the available plans your employer is offering. Flexible Spending Account (FSA) – This is similar to an HSA in that you can save pre-tax money to cover medical costs not covered by your insurance, but these plans do not roll over to the next year. Tuition Reimbursement – Some companies incentivize employees to continue their education by offering to reimburse their tuition expenses. There are typically stipulations like grades and how long you plan to stay with your company after your class, but these programs can be immensely valuable. Legal Services – If your employer offers legal services, they tend to be more affordable than if you were to hire someone on your own. This is another perk to keep in mind should you need it. At Your Richest Life, Katie Brewer, CFP®, believes you too should have access to financial resources and coaching. For more information on the services offered, contact Katie today.